Astrology, Tarot, Medium, More than 35 years experience of astrology and tarot reading. In all times and in all cultures around the world humanity have experienced occult things and strange phenomenon. However the need of answers have always been the same. Amina Wettemark puts herself in a changed state of mind, to have contact with the hidden reality from where she get help and strength. This makes her to be a kind of universal genius. Already When Amina Wettemark was 14 years old she start to work as a medium. 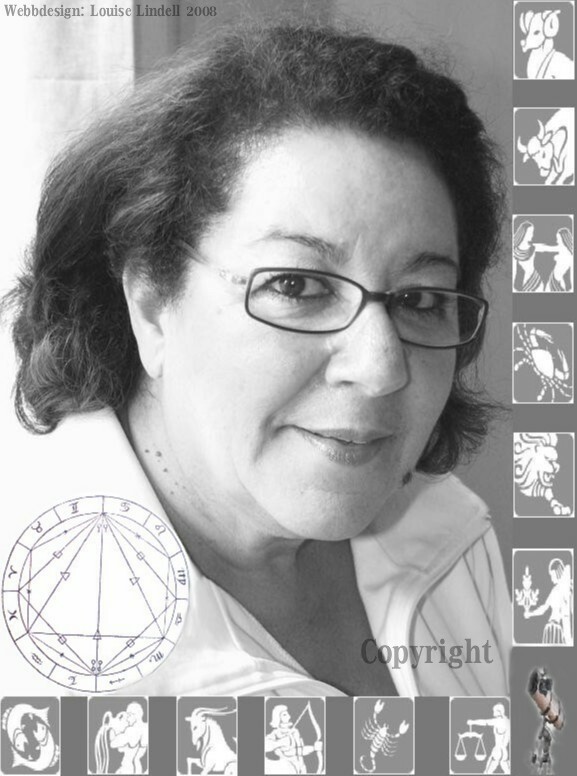 She is a spiritual leader, healer, medium, astrology-expert and she know the mysterious symbol language of tarot cards, etc.. Amina Wettemark has its own profound experiences of the shamanistic practices in her upbringing. If you want to explore the internal reality, and seeking deeper for experience in medicinal herbs, healing, or to receive explanations of phenomena, or do you whant to know about your future, etc., Then Amina Wettemark a fascinating woman and she knows what she talking about. To get in touch with Amina Wettemark check the menu buttons "Contact me". There you will find phone number, times etc... mm. Consultation is offered in Swedish, French, English and Arabic.